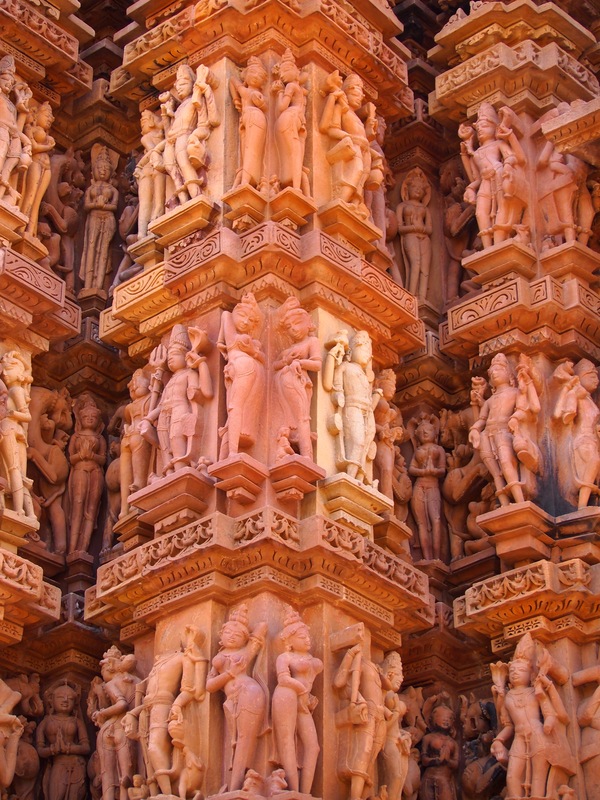 Khajuraho is famous for its World Heritage Site carvings, and specifically for the erotica and kama sutra positions that have been carefully etched into its walls. 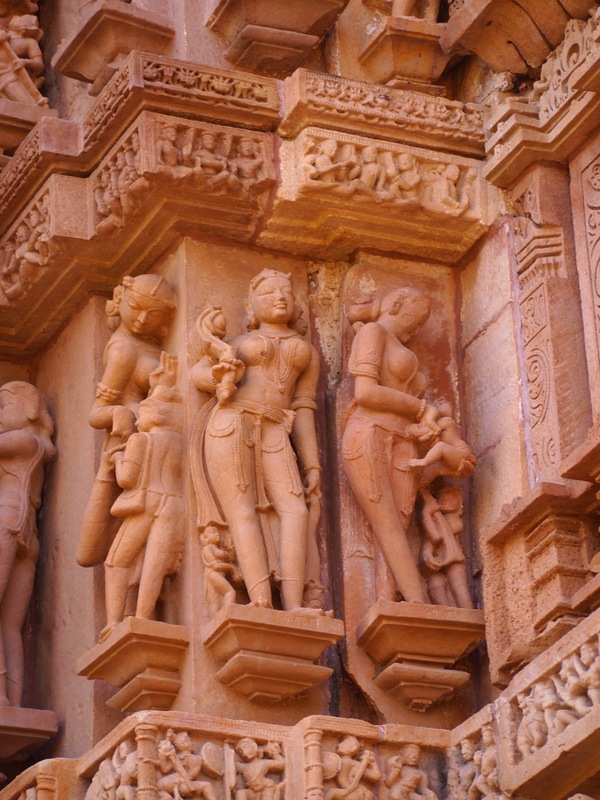 However for me, this is not what makes Khajuraho’s temples memorable, for me its all about the women. 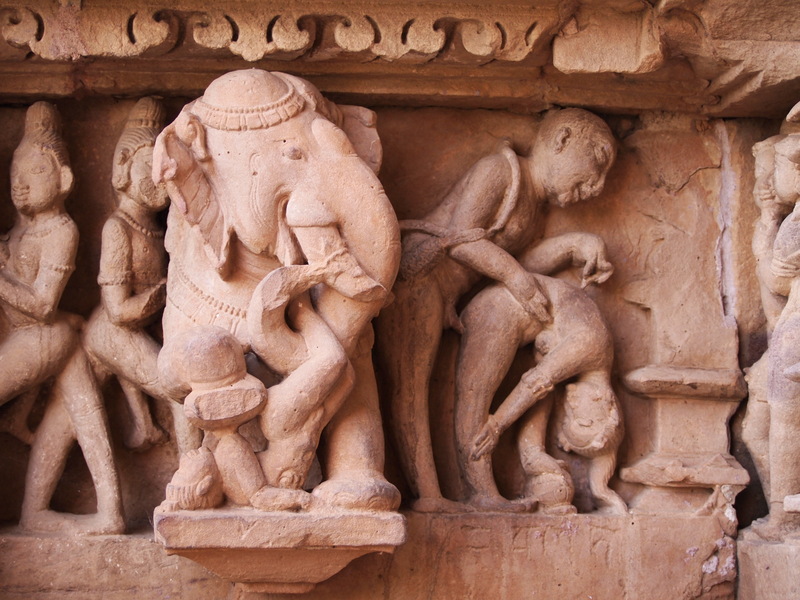 For those of you who want to perve at the kama sutra carvings, I will put some pictures of these at the end (sorry Mum and Dad), but for now its back to the women. 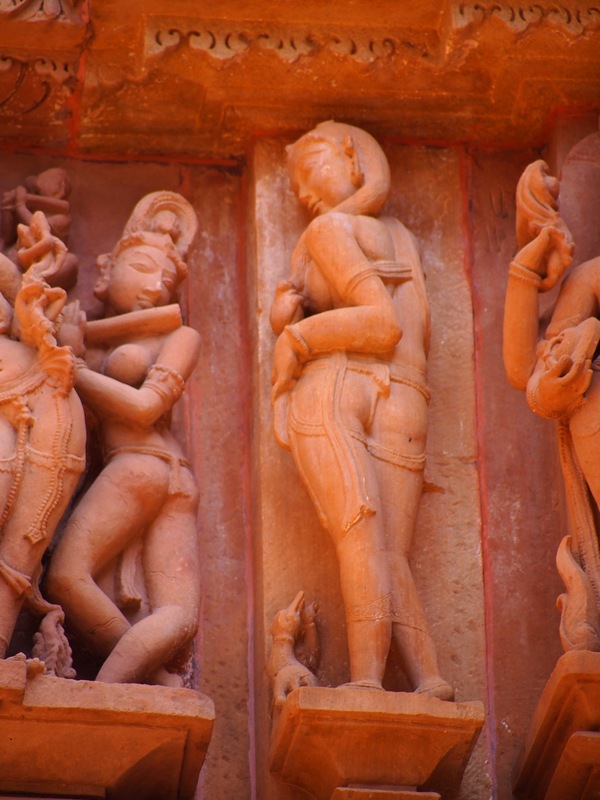 Voluptuous and sensuous, the women who adorn the temple walls of Khajuraho are real women. Not skinny waifs, but curvaceous, glorious women. One of the things I love about India is the way the female form is depicted through art, the rounded curve of the breasts, accentuated hips and of course that tiny waist. She is adorned with jewels and celebrated for all that makes her feminine. 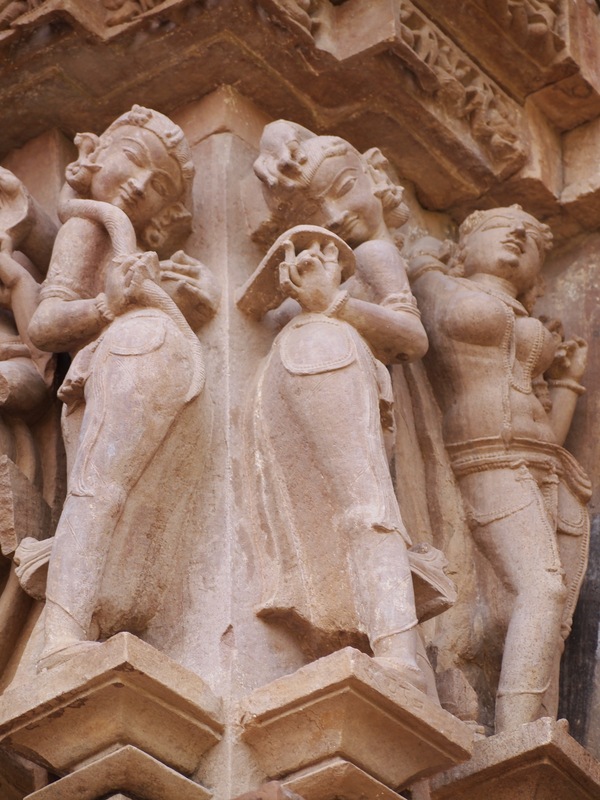 The artisans in Khajuraho depicted women doing all their daily activities. Simple things, but so beautifully done. Here are some of my favourites. 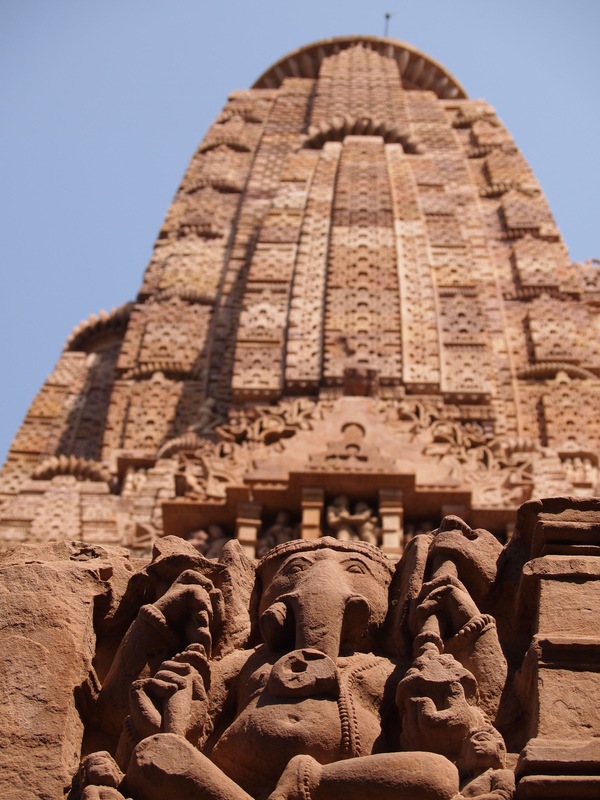 All whilst Ganesha looks on. great I look forward to seeing it. Lordy! Those perspective shots are awesome. I was expecting more of a textual description 🙂 but nice blog! Sometimes I like to let the pictures speak for themselves, but promise there will be more discussion in my next post.